With over 100 species of trees in the area, Germantown has been designated as a city Arboretum by the Nashville Tree Foundation. 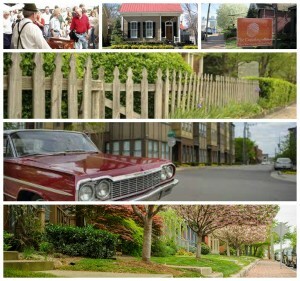 Historic Germantown was Nashville’s first suburb, established in the mid nineteenth-century by an influx of German immigrants. Over the years, revitalization has put life back into this downtown neighborhood. 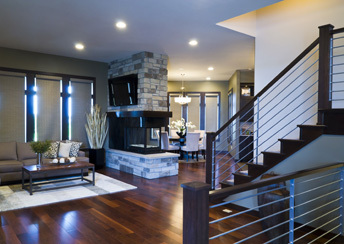 The areas’ large historic buildings remain, but refurbished with a modern flair. The neighborhood is a truly unique mix of Victorian residences and brick industrial warehouses turned lofts. It is also home to some of the cities best restaurants, tucked away in former industrial spaces. With walkable shops, original brick streets, schools and churches, there really isn’t another part of town like it. Germtantown has been able to not only keep its history, but continue to enhance its already distinct atmosphere. 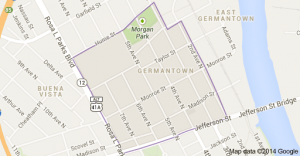 Germantown is an 18 square block area bounded by Jefferson Street on the south, Hume Street on the North, Rosa Parks Blvd on the west and the Cumberland River on the East. It is home to the year-round Nashville Farmers Market, that houses over 100 farmers and artisans. Any day of the week you can find fresh fruits and vegetables from local farmers. The area also hosts the annual Germantown Street Festival with sponsored beers, live entertainment, and P.U.P. Parade, as well as Oktoberfest to celebrate its German heritage. Germantown offers some of the most exquisite fine dining, many of them farm to table.